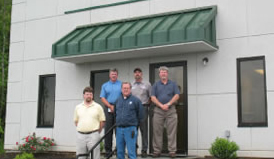 Lewis Systems & Service Co. has been a premier name in the air compressor industry for over 30 years, providing the highest quality air compressor rentals in Lynchburg. Our extensive fleet of air compressors are professionally serviced and maintained by our factory trained and certified technicians in each of our four southeast locations, including Lynchburg, VA.
As one of the largest distributors of Gardner Denver’s esteemed line of air compressors, we specialize in providing a variety of clients with the air compressor they need to get the job done. Regardless of the job, our full fleet of oil-free air compressors, reciprocating air compressors, and rotary screw air compressors can meet your air compression needs. At Lewis Systems, we regularly provide air compressor rentals to a wide range of businesses both large and small. We routinely work with CEOs, purchasing managers, engineers, and plant maintenance supervisors to provide them with the industrial compressed air solutions they need, when they need them. We maintain a large fleet of air compressor rentals in Lynchburg. From electric to oil flooded rotary screw air compressors ranging in horsepower from 25hp to 150hp, we have an air compressor to meet your specific needs. Any of our professionally serviced air compressors can be delivered to your site Monday through Friday from 8:00am to 5:00 pm, ready to use short or long-term until the completion of the job. Each rental comes backed by our esteemed service department, which can send technicians to your site if needed 24/7, so every job can be completed on-time as scheduled. If you need diesel-driven air compressors, we can supply you with those as well. We may not keep them stocked as part of our fleet, but we have them available whenever you may need them. Any hoses, wires, dryers, and line filters are also available for a marginal added cost. If an urgent need arises over the weekend, we can deliver, install, and set up your air compressor then as well. At Lewis Systems, we go the extra mile to provide you with the most professional air compressor rental service possible. Time and Effort Savings – Our wide range of air compressors can help you complete tasks faster while minimizing exertion. Reduced Costs – For businesses that do not regularly require air compressors, renting one of our quality air compressors is a cost-effective alternative to purchasing one. Numerous Applications – The wide variety of uses for air compressors makes an air compressor rental an essential component of a number of projects. Rather than purchasing an air compressor for a project, our short and long-term air compressor rentals in Lynchburg can have a huge positive impact on your bottom line. Whether you need a quality air compressor for a couple of days or a couple of months, Lewis Systems can provide you with the air compressor rental you need to get the job done in a quick and cost-effective manner. Our diverse fleet of air compressors is rigorously maintained to withstand the most demanding requirements and conditions, even in remote and rugged environments. Lewis Systems provides quality air compressor rentals in Lynchburg to tackle any job at any time. Contact us today for additional details and to check out our comprehensive rental list.